Do you suffer from operating system envy? I know I do. While I’m mainly a Windows user, I can appreciate a lot of the features available on Mac and Linux. Windows is pretty boring, so wouldn’t it be nice if those features could be transported over somehow? If that sounds like something you want, then check out these awesome tweaks and tools. Want a dock instead of a taskbar? How about multiple virtual desktops for improved productivity? Or even something as simple as theming your computer with a Mac skin? You’re in luck. Get ready to pimp out your Windows computer. The most immediate change that you can make to Windows is to install a multifunctional dock. The taskbar is good for what it’s meant to do, but it might be a bit too simple for those of you who want some power and flexibility. Even if simplicity is all you need, a dock is often more aesthetically pleasing than the taskbar. RocketDock: Simple, easy to use, with a quick setup. A favorite for many. Winstep Nexus: Lots of power, customization, and performance. Free version available but full version retails for $25 USD. Circle Dock: An untraditional dock that forms a ring around the cursor. Great for productivity and the uniqueness factor. For a deeper look, check out our article on replacing the Windows taskbar with a dock 3 Multifunctional Docks To Replace Your Windows Taskbar 3 Multifunctional Docks To Replace Your Windows Taskbar Docks take what the taskbar does and make it better: beautiful, effective, and fun to use. Once introduced for the Mac, docks have long been available on Windows. Let me show you the best ones. Read More . One desktop is not enough. There just isn’t enough room to elegantly handle multiple windows and the constant flipping back-and-forth can cause a serious slowdown in productivity. On top of that, there’s the issue of desktop file clutter 3 Better Ways to Store Your Files Than on the Desktop 3 Better Ways to Store Your Files Than on the Desktop Did you know that storing files directly on your desktop can harm your productivity? Desktop storage is simple, but it comes with hidden drawbacks you may not know about. You can do better! Read More and the mental burden it brings. Some people solve it with multiple monitors. A dual monitor setup is the fastest way to maximize screen estate and minimize productivity leak due to constant alt-tabbing. If you can’t afford two monitors, or don’t have the physical space for them, you could try using Actual Multiple Monitors (our review Finally Get Two Functional Desktops With Actual Multiple Monitors Finally Get Two Functional Desktops With Actual Multiple Monitors Once you have tried working with a dual monitor setup, you'll never go back. While two monitors give you double the workspace and boost productivity, I found the setup is never perfect. In the end,... Read More ) for a virtual version of it. But we can also look to Mac and Linux, both of which offer an awesome feature called virtual desktops. With a program like Dexpot (our review Expand Your Desktop Workspace With Dexpot - Cool Virtual Desktop Software [Windows] Expand Your Desktop Workspace With Dexpot - Cool Virtual Desktop Software [Windows] I was talking to one of my friends, who is an avid Linux user. He told me that one of the Linux features he simply can’t do without is "virtual desktops". I can now tell... Read More ), you can set up multiple versions of your Windows desktop and switch between them at will. Specialize each virtual desktop for its own purpose (e.g., browsing, work, games, etc.) and watch your productivity skyrocket. Note: Actual Multiple Monitors costs $25 USD and Dexpot costs $34 USD. For free alternatives, try VirtuaWin (our review VirtuaWin - A Lean Mean & Free Virtual Desktop Manager [Windows] VirtuaWin - A Lean Mean & Free Virtual Desktop Manager [Windows] When I covered Dexpot some time ago, readers Colugo and Mick were quick to point me in the direction of VirtuaWin as a lightweight, fast alternative virtual desktop software. Encouraged by their feedback, I decided... Read More ) or Microsoft’s own Desktops (our review How To Use Four Desktops At Once & Boost Productivity [Windows] How To Use Four Desktops At Once & Boost Productivity [Windows] Read More ). I’ve always been jealous of the Exposé feature on Mac computers. With a single keystroke, you can view the entire landscape of your computer and quickly navigate to the window that you need. It’s a much better alternative to the alt-tab cycle that Windows forces upon its users. For those who don’t know, Exposé basically “zooms out” and spreads all of the currently open windows out on the screen. All it takes is one glance to spot the relevant window, and once you click on it, it becomes the window of focus. It’s a simple mechanic, but extremely useful. With BetterDesktopTool (our review Bring Mac's Best Window Management Features To Windows Bring Mac's Best Window Management Features To Windows Bring Mac-style window management to Windows. If you've ever been jealous of features like Expose and Spaces, BetterDesktopTool is here to bring them to your PC. Read More ), you can do the same on Windows. In fact, BetterDesktopTool combines the Exposé mechanic with multiple virtual desktops, allowing you to see ALL of your desktops and ALL of the windows on each desktop. Plus, it’s entirely FREE for private use. If all you care about is making your Windows look like Mac or Linux, then you really don’t need to do anything other than install a new theme. Will you be able to transform Windows into a perfect replica? No, but you can get close enough. Check out these awesome Windows 7 themes Get A Windows 7 Makeover With These Awesome Themes Get A Windows 7 Makeover With These Awesome Themes Read More and these amazing Windows 8 themes Amazing Windows 8 Themes You Need To See Amazing Windows 8 Themes You Need To See Windows has always had an active community of enthusiasts who customize everything about it, including its desktop theme. Although Microsoft tries to prevent this, Windows 8's desktop can be themed just like Windows 7's. We've... Read More to find one that best represents the aesthetic of your favorite operating system. The theming system is different between Windows 7 and Windows 8, so if you find a theme that you like, but it’s for the wrong version, you’re out of luck. For maximum flexibility in customizing the look of Windows, however, you’ll be better off using a dedicated product like WindowBlinds. It works on both Windows 7 and Windows 8 systems. The only downside is that the free trial lasts 30 days. The full version costs $10 USD. One of the defining features of Linux is the command line terminal. For times when you want to interface with a remote SSH server, Windows doesn’t offer any built-in tools to get the job done. Thinking about using Telnet? Don’t. It’s too insecure. My personal recommendation is to use either Xshell or PuTTy. Xshell is a wonderful terminal program with a lot of features, such as multiple session tabs, sending commands to multiple sessions at once, interface customization, and more. It’s not as daunting as a straight terminal, making it easier for newbies to pick up. For personal use, it’s free. Otherwise, the de facto standard for Windows SSH is the PuTTy client. If neither of the two above works for you, check out Chris’s list of SSH clients for Windows 4 Easy Ways to Use SSH In Windows 4 Easy Ways to Use SSH In Windows SSH is the de facto solution for securely accessing remote terminals on Linux and other UNIX-like systems. If you have a remote SSH server you want to access, you'll have to download an SSH client.... Read More . In a lot of ways, Windows is not an innovative operating system. Not that Windows is bad, but it does lack some of the nifty features of Mac and Linux. The good news is that features were ported over by people recognized the lack. With the programs above, you can take your Windows experience to the next level. Know of any other cool programs that fit the bill? How else have you transformed Windows into something better? Share your thoughts with us in the comments! 5 Sites and Apps to Find Movies & TV Shows to Watch on NetflixHow to Use Your Windows 8 PC Anywhere – Without Taking It With You! Wow, arguing over a taskbar? You can see a few people here actually use a computer, the rest of yall, I just don't even know. If you cant use a command line your not using a computer, its using you! I honestly think children should learn on a terminal, then show them a gui, but our ADHD society has to do ten things at once just to keep them in place for an hour. This box is a tool. Sure the entertainment out of it can be pretty amazing, but technology wasn't created so we can stroke it. Religion wasn't created for story time, it was to explore spirituality. Sports were not created for entertainment, but they were exploited as a distraction. The major three branches of OS's all work! Does a home user need a system that only goes down if the power is off for a week? No. Does a financial entity need something more reliable than a blue screen? Yes. What are you using this tool for is the real question. If you need a real system, something open source is NEEDED, so you can mold it to your function. If you want to sit around and say, my system boots 50 ms faster than yours, don't even bother with a nix system. Think, about 80% of those comments are complaints about task switching, go scroll up. Virtual desktops are an amazing conception. If you don't think so, go find a TV to watch, you shouldn't even be writing a comment. Sorry for a different opinion, but I do work regularly with Windows and a Mac, and for me the Windows taskbar is much better and functional and quicker than Mac's dock; and ALT-TAB is so much more quicker than the fuddly exposé - let alone I do not have to get my hands off the keyboard to "click on [the window you were looking for]". That's fine. This article is for the people who do want a dock and Expose alternative. "This article is for the people who do want a dock and Expose alternative." No, this article is you trying to pretend that YOU know what's best for everybody. I agree with Egon - ALT-TAB is much quicker that the fuddly Expose. I've always wished I could customize my car to have the best features of other cars. That hasn't happened so far. This argument of who has the best OS started about 4000 years ago. And it just won't die. It must be a guy thing, competitiveness, testosterone? How much computer resources are wasted adding things that aren't really needed? There is something wrong with every OS. I've been using computers for more than 30 years. And Mac is built on BSD UNIX, not Linux. And yes there is a difference. As to "zooming out" your desktop - Windows Key + Tab does very nicely and is super fast and looks better than Expose. Another factor making me reluctant to switch to Linux is all the annoying fanboys who insist on talking about Linux, even in discussions about Windows. Now if you could slim your Windows bloatware down, get it to boot faster and be intrinsically resistant to malware, update all your apps automatically, be configurable without all those add-ins...and be free...you'd have Linux. Bit of a daft article really. It points out that Windows is pretty boring and lacks features found in Linux and Mac OSs (Mac is a Linux based OS as we know). So as many others have pointed out, just switch to Linux; save yourself a lot of time and money. And if you have to use Windows run it in a virtual machine. @PaulB, So you are a Windows fan. Great. Someone's got to ensure they can pay the workforce. "Mac is a Linux based OS as we know"
You must be the only one then who knows, Mac is Unix based and the OS is free! "Just switch to Linux" is a short-sighted and narrow-minded answer. There are lots of valid reasons why someone would be stuck on Windows and it's not always as simple as changing to a different operating system. Macs are far more expensive than Windows. Linux has a high learning curve. There are lots of niche Windows programs that don't have suitable alternative on either operating system. "Linux has a high learning curve." Only if you have unlearn bad Window habits. Did you ever consider that for somebody who know only Linux, Windows has a high learning curve? Not all of us start with a Windows computer. This is a very strange article. It suggest that docks are more powerful than the Win7/8 taskbar, but that just makes me think the writer doesn't know how to use the taskbar properly. The taskbar makes the Mac expose function redundant (let alone alt-tab). You can see at a glance which programs are open and just mouse over an icon to go straight to the open window you want. It offers jumplists to get straight back into whatever files you were last using. I didn't miss the start button in Win8 because the taskbar meant I hardly ever used it. I won't even start on what's wrong with the OSX ui. Linux... well, I wish I could like it more, and I have Mint XFCE on an old netbook, but I'm afraid the app "equivalents" are not really equivalent and the absence of a decent email client is a showstopper (Thunderbird I'm afraid looks like a dog's dinner and Geary just doesn't work well enough). "My personal recommendation is to use either Xshell or PuTTy." I've been using Bitvise SSH Client (formerly Tunnelier) for a few years now; it even has a PortableApps version (which is what I use). It combines SSH, SFTP, Remote Desktop, and more. Cool, I'll check that out. Thanks for sharing! The day my IQ drops below the number written on the sole of my shoe, I'll move to MacOS. While I still have 2 working neurons I'll keep working with Windows and Linux. And the best, without the stupid GUI made for chumps. This is a helpful article thanks. Its for people still holding onto a M$ OS and giving a false sence of hope. The sooner you move over to MAC or Linux alternative the better off you will be in the long term. A real good alternative for Windows is Linux Mint. 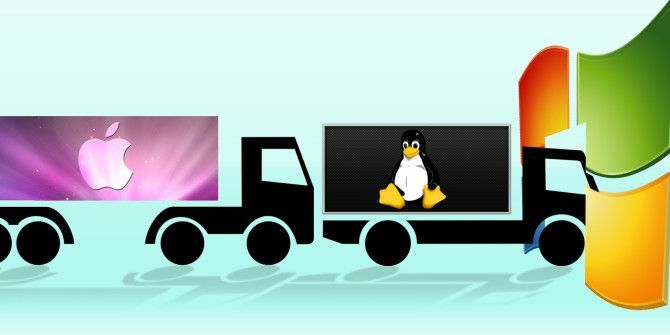 It is one of the best distro's to get started with Linux. It's learning curve is not as steep as others, and once you get the hang of it, you can easily switch to the distro of your choice! Linux Mint was the first distro I ever used and it's definitely great. Highly recommended for new Windows->Linux converts. Of course customization is a personal thing, so YMMV, but over several machines, versions of Windows, versions of Windowblinds or theme patching utilities, all I got for my trouble was an unstable system with substandard design. Honestly, I do wish I could change a few things about how Windows looks, but it isn't worth having to reinstall the whole system when it eventually crumbles. In fact, I've given up on all third party enhancements and tweaks, (you know, like CCleaner, Revo, etc.) and I finally have a truly solid system that rarely gives me any trouble. On the positive side, there's actually a lot of built-in customization available. And the Taskbar is far superior than any Dock, in my opinion, especially on Win 7. Really, what does a dock offer that the Taskbar doesn't? And as for multiple desktops, again, I don't see the point. You're just switching out what you're looking at. So I just switch apps, not desktops. While most of your points are valid (Windows is a lowest-common-denominator operating system so it makes sense that it isn't as robust as it could be), multiple desktops are huge. I liken it to the advent of tabs. Was it possible to have multiple notepads open? Sure, but tabs made it easier to stay organized. Multiple desktops are like that on a larger scale. What O/S DON'T you have problems with?! You have problems customizing Windows and adding third party software. In other discussions you said that Linux is not ready for prime time because you tried several distros and could not make any of them work properly. Maybe you should try OS/X. Or have you tried it and found it wanting? Maybe it is you, rather than any of the O/Ss you have tried? Maybe you just aren't as computer savvy as you think? OTOH, maybe you are just a troll that knocks various O/Ss just for entertainment. This article got me curious, I'm mostly a Linux guy, but keep a doze box around for gaming. I looked up all the different skins Linux has to offer now and you can make it look just like a Mac (without the high price and the ability to truly customize). Or as Stephen R commented, Zorin has skins that mimic Doze XP, Vista, and 7. I'm too afraid to play around with the programs mentioned for Doze. It took me a weekend of work to get it stable and secure enough for gaming and streaming. I'm not taking any chances. umm... dexpot is free for personal use... I've used it before, and it's great. Then, I switched to Linux. No matter how you pimp your Windows system, it is still going to be only Windows. Maybe instead of pimping your Windows, you should dual-boot it with Linux. For tech-savvy people, going the way of a dual-boot is probably the best option. For most people, cosmetic changes and basic feature alternatives will probably suffice. The last sentence was not completed: "...take your Windows experience to the next level - Get a Mac!" Al right, Im ready for the smack down. But after all this article was about using Mac features... right? some mac features, as well as linux and co. you can't see past your own nose so you saw the word mac and stopped there. now we know where they get all their "geniuses". why is cygwin not here.